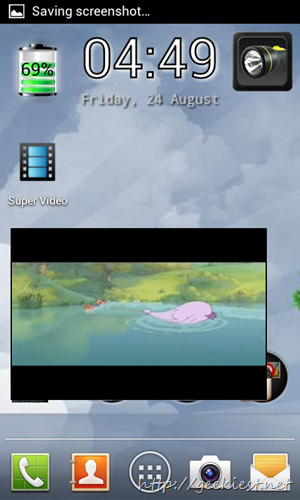 Super Video is a video player from Gpc, which will allow you to watch video while you are using some other applications. This was one of the new feature added to the media player in Samsung Galaxy SIII. You can get this feature on your Android Phones by installing Super video. 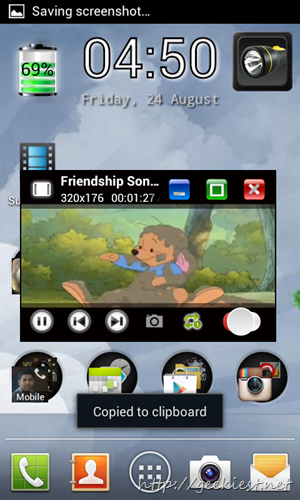 Simple Widget Multi-Window Video Player. Full Subtitle Support for Video Playback. Friendly and Simply User Inferface with Grid, List and 3D Gallery. 100% NO AD, Made in Taiwan.